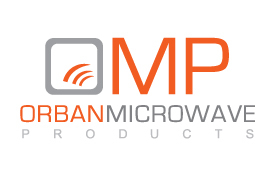 OMP designs and manufactures RF & Microwave Subsystems and Antennas in the 0.5 to 25 GHz frequency range targeting a wide range of markets including SATCOM, GNSS, Avionics, Satcom, Test & Measurement, Medical and Space. Unlike traditional companies, OMP has no standard products. Our strategy is to develop application specific products when no catalog products are available in the marketplace. We maintain a large library of designs and use state of the art design tools including 3D electromagnetic and nonlinear simulation engines. Our strategic alliance with highly experienced manufacturing partners allows us to convert designs into production products quickly. Our agility in being able to quickly and cost effectively develop products has earned us a very favorable reputation in the industry. Our typical customer is one that is unable to locate a standard product that meets their requirements or does not have an in house design and build capability. OMP is an economic, complete and quick answer to this need. It is our strategy to design at cost, manufacture and support the product throughout its entire lifecycle. Our product portfolio includes antennas for WAAS, GNSS, Radio Altimeters and UAV applications, and RF designs like low noise and power amplifiers, transponders and repeaters.